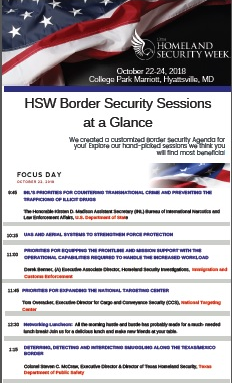 We have created a quick Homeland Security Week Border Security Agenda-at-a-glance so you can see all of the sessions that we have created to cover this timely and important topic. We have put together an exclusive Border Agenda-at-a-Glance for your convenience. Take a look at the sessions that we have in store for you!